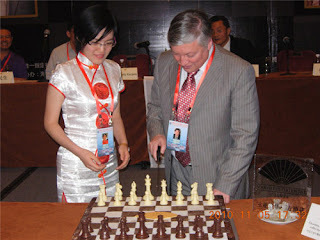 What were XII World Champion Anatoly Karpov and talented youngster Hou Yifan eating in China? 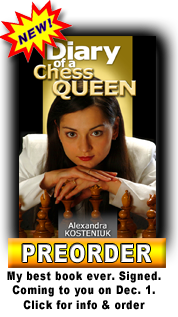 (Read further to find out and check www.chesspics.com for great photos of the two players. Ever tried translating Chinese into English? We did and it was tough! 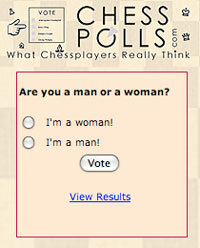 Maybe, as tough as chess itself. But the fun part was the super-duper chess cake. You will love this photo. 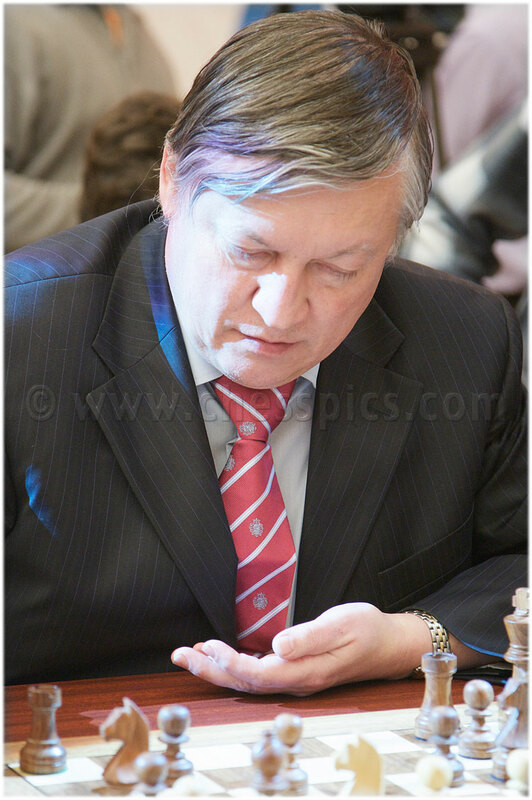 There is Hou Yifan one of the strongest women chess players in the world and former World Champion Anatoly Karpov. What they have before them is not a chessboard but a cake. Yes, look carefully. It's so beautiful, could they really bring themselves around to cut it? Your guess is as good as ours. A special chess match began at the Mandarin Oriental Hotel Sanya, Hainan, China, between 16-year-old Hou Yifan and Anatoly Karpov on November 5. The cool part of the event is that hotel guests can meet the two chess players at the venue. The super chocolate cake was prepared by the hotel for the opening ceremony. The Match includes four classic games (with the control 90 +30) and two fast (25 +10). The schedule is as follows: 6, 7, 8, 10 November (Classic), Nov. 11 (Rapid). You can run the moves in our pgnplayer or watch in flash below. Is that really a cake? Oh boy. i won't be able to sleep tonight dreaming of that cake. Guess it's brown and white chocolate. Yum! 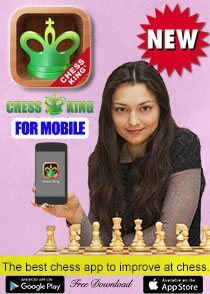 Thanks Chess Queen. Your blog really gives me a refreshing high at the end of a tiring day. How did they have the heart to cut that cake? That's a cool chess cake I ate in a long time. 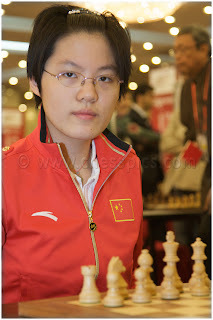 Any help with Chinese, just mail me Chess Queen! I will email you my id. 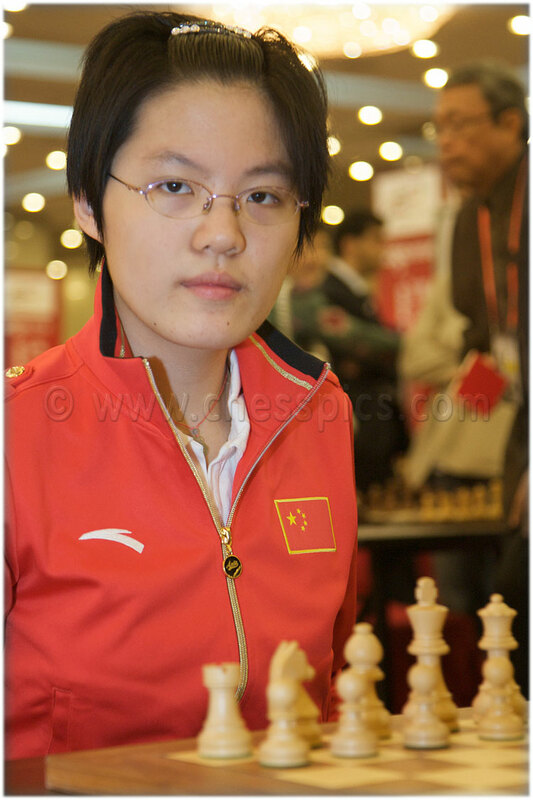 Is Hou Yifan taking lessons from Karpov for World Championship? 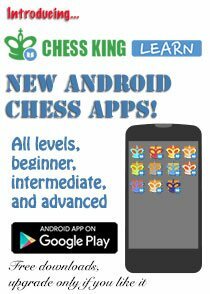 Ok so we have Carlsen taking lessons from Kasparov and Hou Yifan from karpov - not bad! Do they play chess in China? I am impressed the way Karpov still continues to play. Folks, that was a tough game, just saw it. Wow. Where's you find it. 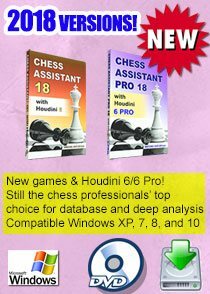 It's nowhere available on English chess sites. Glad I check here often. Hail Chess Queen. 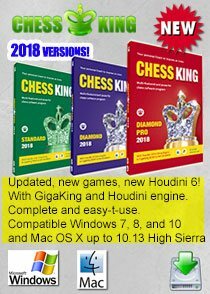 In any case require any help with Chinese ping me. Eat your opponent and eat your chessboard too. 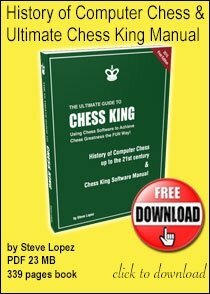 Did chess have origins in Plovdiv, Bulgaria also?